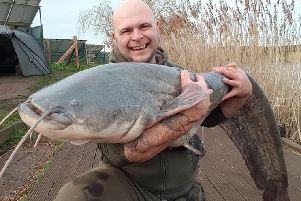 The Saturday open matches at Float Fish Farm Fishery are becoming increasingly popular and the latest match saw three lakes included. On the Wagtail Pool it was Scott Ford topping the field with a level 72lb taken on the feeder from peg 21. Then came Phil Aldridge on 40lb 15oz from peg 15. On the Horseshoe Pool Sean Best put a fine 99lb 11oz to the scales, followed by Jay Richardson with 70lb. Kevin Peacock continued his great run of form by taking the honours on the Two Islands from peg five with 89lb 11oz, most fish taken on the feeder, then came Shaun Waterfall with 84lb 5oz from peg 26. The Monday open match at Float Fish Farm saw the Hudson brothers make it a clean sweep. On the Wagtail Pool Paul Hudson put a fine 70lb 13oz to the scales from peg nine, while over on Horseshoe Tony Hudson did the business winning this lake with 50lb 8oz from peg 11. 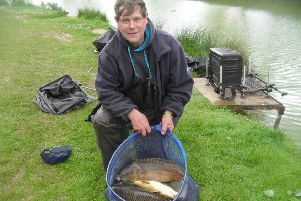 Last weekend’s grand final qualifier at Rookery Waters was won by Richard Bond. Fishing sweetcorn and pellet he put 160lb 14oz onto the scales from peg nine on the Magpie Pool. Runner-up and top rod on the Jay Lake was Dennis Page from peg 27. He also caught carp on sweetcorn to finish on 82lb 8oz. This weekend it’s the Rookery Waters two-day winter final. It’s a strong line-up with a £1,000 first prize up for grabs. Castaways were at Biggin Lake for their latest outing. It’s a lake full of carp but Castaways decided on a silver fish match. Leading the way from peg 47 on the wood side bank was Alan Jopling with 22lb catching small bream and skimmers on the waggler on 6mm pellet. Runner-up from peg 49 was Chris Gale with 18lb 4oz of skimmers taken on the pole, then came Mike Smith on 37 with 16lb 1oz of roach and skimmers on the pole with maggot. Tydd Gote Angling Club, Wednesday Open, North Level Drain: 1 Archie Greenwood 5lb; 2 John Taylor 4lb 8oz; 3 Pete Emery 4lb 2oz.